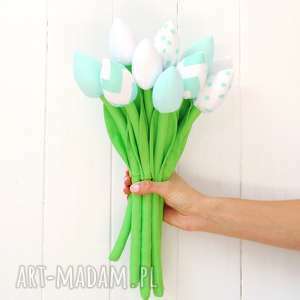 The bouquet contains of 10 cute tulips made of 100% cotton fabrics (4 red, 3 polka-dot, 3 floral) and firmly stuffed with non-allergenic polyester fiber. 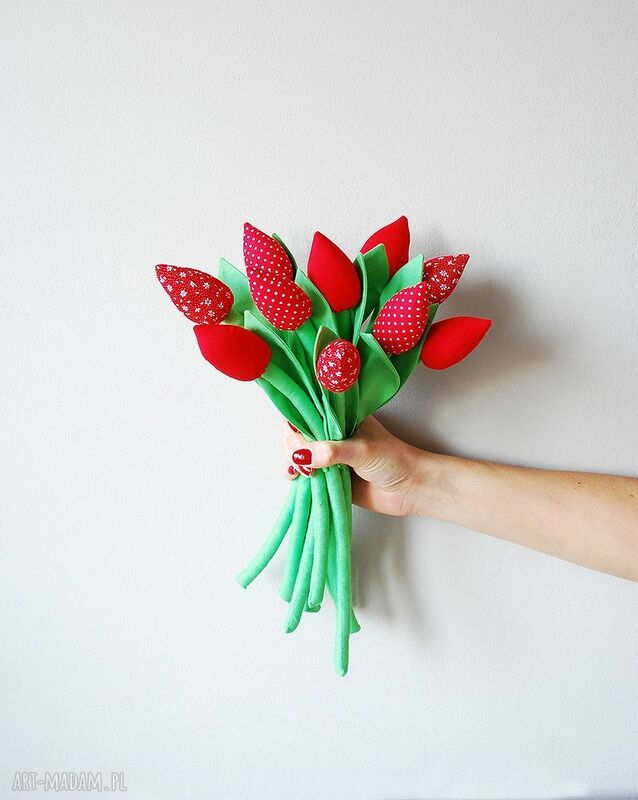 This fabric tulip bouquet will look beautiful in your living room and it is a perfect gift for mother, wife, friend or just for yourself ;) Most importantly, there is no need to worry about watering - the flowers will always look nice. 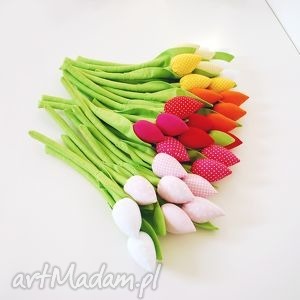 Size is about 13" (33cm) long.